MindFolio is a management consultancy for retail, leisure, educational and residential real-estate environments. To develop visions, brand concepts, strategic masterplans and customer experiences. We underpin any solution with crunchy insights into the affinities, behaviour and choices of customers, using our research, social networking and ‘Decision Science’ tools. 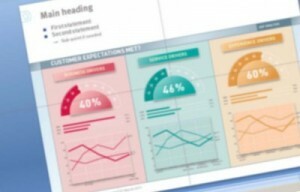 We were approached by one of our regular design clients to develop a PowerPoint-based solution to present their research data and professional conclusions. The client already had the core data to work with, developed from their own analysis system, but wanted to develop a way of being able to put together elaborate presentations with as little complication as possible. Working with the client and designer, we developed a system using an Excel control panel to manage the data and charts, and a prebuilt PowerPoint template with a range of layouts and slide layers. 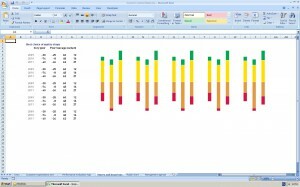 Any data updated in the Excel fed directly to the charts in the PowerPoint. A number of standard slides, fixed in all of their presentations, were also present and updated automatically. The user simply updated the data, which updated the extensive list of prebuilt charts, and copied the relevant charts to their new slides. 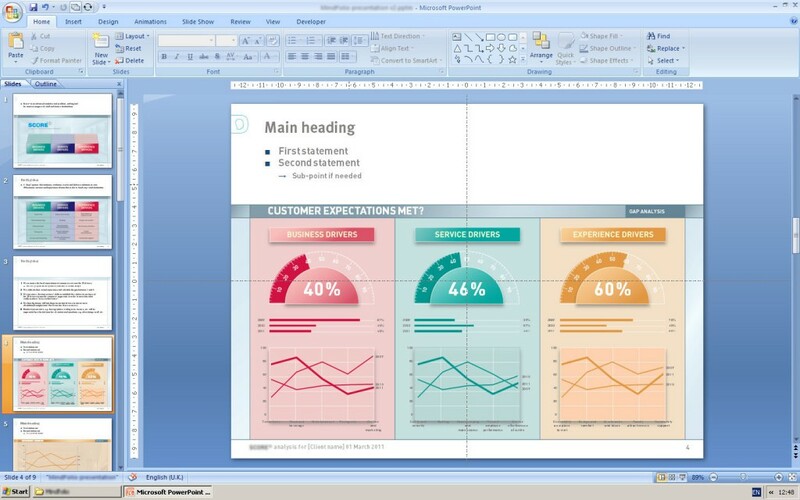 PowerPoint manages the slides and presentation. Let Excel do all of the data work. The PowerPoint template included the four section types, using separate brand colours and the user could combine the charts, layouts and section layers to construct their presentation. Once the base files were completed, we advised on best practice in managing the data and presentation files, as well as wrote comprehensive user notes that outlined the update, management and construction methods. 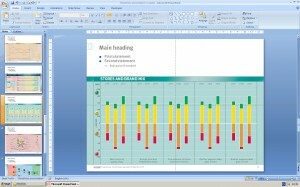 We dealt with a number of fundamental issues in both Excel and PowerPoint to make it work. The team were extremely familiar with Excel and its strengths, but the same couldn’t be said about PowerPoint. The final system was extremely modular, and allowed any of the team to work on a new presentation.